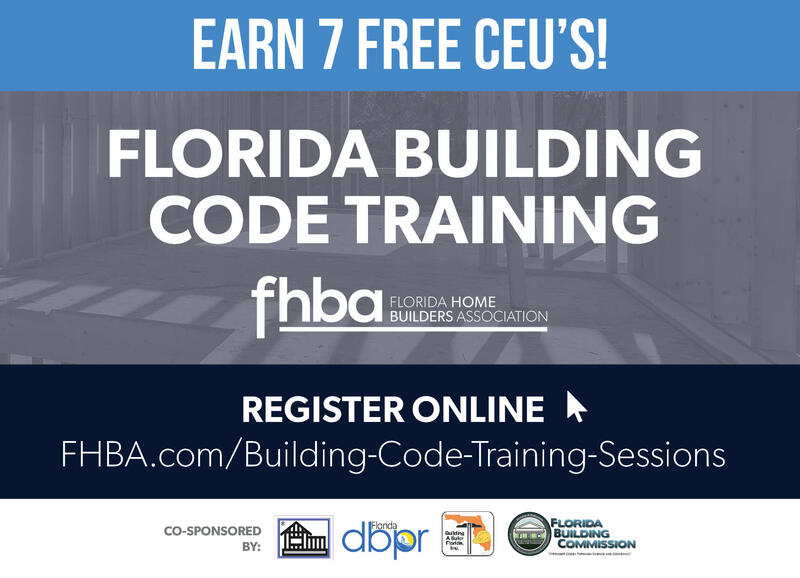 JC Code & Construction Consultants, Inc. in partnership with the Florida Home Builders Association (FHBA) is offering 7.0 hours of Florida Building Code continuing education. Funding for this training is provided by a grant from the Florida Building Commission, Department of Business and Professional Regulation (DBPR), administered through Building A Safer Florida, Inc. (BASF) and is open to most DBPR licensed professionals. Certificates of completion are provided with continuing education hours uploaded electronically into the DBPR database. JC Code & Construction Consultants, Inc. is an approved continuing education provider by the CILB, BCAIB, FBAID, and FBPE. DBPR Provider #0003379, ICC Preferred Provider #1047. Credit gained through CILB/BCAIB Reciprocity. ICC certification renewal credits are also earned. Courses have been selected to satisfy some of the professional license renewal requirements for building code officials and contractors. Some courses are also approved for design professionals. All courses are designed to provide the participants with the most up to date information regarding codes, standards, and statutes. THIS PROGRAM IS SPONSORED BY THE FLORIDA BUILDING COMMISSION AND THE FLORIDA DEPARTMENT OF BUSINESS & PROFESSIONAL REGULATION AT NO COST TO ALL PARTICIPANTS SIGN-IN: 8:00 am CLASS: 8:30 am - 4:30 pm Morning coffee available. We will be collecting money the morning of the class and order lunch for you.